All of time is simultaneous. Matter tends towards perfection. Cats can be dicks sometimes. 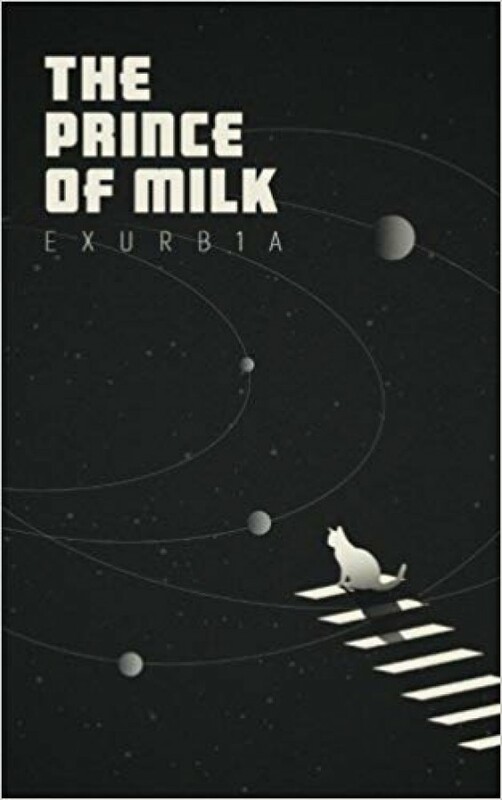 The Prince of Milk is a leisurely stroll from prehistory to the distant future, stopping for tea in the 21st century English countryside. Before the time machine, before the undead mannequins, before the cat with the universe eye, there were the arbiters. They regulated the world and kept reality from banging into itself. All was well in paradise. But even the gods end up in love triangles from time to time. Several galaxies and a dimension away, Wilthail is a small English village alternating between flower shows and the occasional divorce. Life ambles. Old men and women make peace with their gods. Little do they know three deities walk among them already, biding their time before an ancient grudge rears its head. The world is a garden. The world is a gutter. Which is it?